The best way to learn Spanish in Spain is to do an intensive course somewhere like Bilbao. To learn Spanish in Bilbao means to learn Spanish in a place where good Spanish is spoken and where there is no massive presence of international students. The goal of our courses is to teach people to communicate in Spanish in real world situations. With this goal in mind, our classes focus on the basic linguistic skills: speaking and spoken interaction, listening comprehension, reading and writing. Our concept of teaching is based on communicative methods where the new technologies play an important role. Our teachers are all native speakers, they have a university degree in languages and are very experienced in teaching Spanish as a foreign language. Spanish Courses are held in small groups where all our students receive personal attention. Courses are held all the year round. Students can join the course any Monday. They have to do a previous placement test to enter the correct course level. EIDE, accredited by the Instituto Cervantes and member of Fedele, prepares the students for the exams. The goal of our courses is to help students develop the necessary skills to perform successfully in every exam section: listening and speaking, grammar and vocabulary, reading and writing. DELE Examinations: The DELE Diplomas are internationally recognised, and enjoy great prestige not only among public and private educational institutions and authorities, but also in the business world and chambers of commerce. 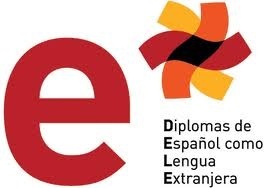 Both in Spain and other countries, the DELE have been adopted by departments of education and official institutions of learning to complement their own assessment programmes. In fact, in Spain, many Universities requiere the DELE to register in a degree. Bilbao is a cosmopolitan and modern city, which is the result of a transformation that has taken place over the last two decades. The Guggenheim museum, by Frank Ghery, is an important ingredient of this development, but certainly not the only one. Other good examples are the Underground, designed by Norman Foster, or the Zubi Zuri Bridge and the Airport, by Fernando Calatrava. Although these projects have increased the popularity of Bilbao, the heart of the city is still the “Casco Viejo”. This charming old town is a pedestrianised area with a combination of traditional and modern shops, bars and restaurants. Visitors will enjoy Basque gastronomy, considered highly prestigious both nationally and internationally, as well as sampling the city’s fun night life. From Bilbao Sagrado Corazón to Bilbao Arriaga , through Gran Vía (main street). Walking through the streets of “El Casco Viejo” (old town). From Arriaga to the Guggenheim Museum. All 3 can be done in a day, or 2 of them in an afternoon. Other ways of visiting Bilbao are the double decker touristic Bus (Bus Turistikoa) and the Boat (Bilboats). The second options is a nice and relaxing one, but they give no tourist explanation. Bilbao’s charming old town is a pedestrianised area full of life. There are shops of all kinds, including both well known brands and also original and different shops of all kinds. It is also known as “Las 7 Calles” (7 streets) because of the 7 streets that, since the 15th century, have been part of the Old Town: Somera, Artecalle, Tendería, Belosticalle, Carnicería Vieja, Barrencalle, Barrencalle Barrena. The “Casco Viejo” is a perfect area to try Pintxos (Basque Tapas) at lunch time or in the evening, and to soak up the night life atmosphere. The word in English for “Ensanche” would be “widening”. It refers to the expansion of the old city. This area of Bilbao was built between the 19th and 20th centuries. The “Gran Vía Don Diego López de Haro” (Main street) belongs to this part of Bilbao. Part of this Gran Vía is now a semi-pedestrianised area, only available for buses and taxis. It is a good area for shopping, where famous shops such as Zara, Mango or El Corte Inglés, have settled. A very elegant area, with mythical bars such as the “Iruña”, ideal for a wine and a “pintxo Moruno”. There are also many bars for pintxos on both sides of the Gran Vía. A beautiful walk with really nice views. It is also the best place to see the Guggenheim Museum building and other new buildings in Bilbao. This area is representative of the new Bilbao. It used to be a very grey and industrial area, with ship-building factories. Now it is one of the most beautiful parts of the city, full of new buildings. The Guggenheim museum was built here, but it was just the first step. For football lovers, the San Mamés Football Stadium, Home of the Bilbao Athletic Club, is near Sagrado Corazón Area. There is also a museum there. Bilbao is part of Greater Bilbao, a conurbanation of 8 municipalities on both sides of the Estuary of the river Nervion, of which Bilbao is the Capital city. Even though there are 8 municipalities, the visitor has the feeling that they are, in fact, all parts of the same city, as they form an unbroken urban zone in a very small area (14 km from one side to the other). Santurtzi, where EIDE is located, Portugalete and Getxo are the most attractive areas of the Greater Bilbao: Santurtzi and Getxo are at the edge of the stuary and by the sea; Porgutalete is the town where the famous suspension bridge is locates (the world-heritage “Puente Colgante”). Santurtzi or Santurce used to be a fishing town, and famous in Spanish speaking countries for the song “Desde Santurce a Bilbao” about a “Sardinera” (a lady selling sardines) that walks to Bilbao everyday along the riverbank, selling sardines. Nowadays there are not that many fishermen, but Santurtzi still has its beautiful fishing port. Just by this fishing port, there is a brand new Marina. The most attractive part of Santurce is the walk from the fishing port to Portugalete, with beautiful views of the sea, the estuary, Getxo and the “Puente Colgante”. Portugalete’s old town is a medieval town, where the Basilica of Santamaria can be found. It is worth visiting this, as well as the famous Biscay Transporter Bridge (Puente Colgante). The bridge is worth visiting, not only for the construction itself, but also for the views from the top of it: at a 62-metres high, it gives the most astonishing views in the area. Getxo is a residential area on the other side of the river. The promenade from the Transporter Bridge to the Old Port of Algorta is another must-see area to visit. This promenade passes by the Getxo Marina, the Ereaga Beach and leads to the old port, the perfect place for a wine, beer or a pintxo. The beach of Arrigunaga is also an attractive spot in Getxo. This area is connected by metro, train or bus: moving around. La Rioja is an autonomous community in the North of Spain, known for its famous Rioja Wine. The region borders with Álava, one of the 3 regions of the Basque Country. La Rioja Alavesa is located in the Basque Country, in the south of Álava between the Ebro River and the Cantabria Mountains. Its geographic location and climatology make La Rioja and Rioja Alavesa ideal place for wine cultivation. The wine brand for wines both in Rioja and Rioja Alavesa is Origen Calificada Rioja . But wine and wineries, some of the designed by famous architects such as such as Frank O. Gehry or Santiago Calatrava, are not the only attractions of this area. Medieval villages, museums and the place where the first words written in Spanish were found and some of the other reasons for visiting La Rioja. A visit to Laguardia is like stepping back in time. This perfectly preserved medieval village in Spain, retains intact its historic walls from the 13th century and has a delightful network of cobblestoned streets full of “Tabernas”, wine shops, palaces, and cafes. Plaza Mayor Square: The main square of this village has a pretty arcaded Town Hall and a very interesting clock with dancing hands called the “Reloj de Carillon”. The church of Santamaria (special tour can be hired in the Tourism Office). El Fabulista winery: “The Fabulist” winery stands out among the underground cellars. It is situated under the house where the writer Samaniego was born. In your visit you will have the opportunity to taste the wine that is still produced in the traditional way. Ysios winery: The spectacular Ysios winery by architect Santiago Calatrava was inaugurated in 2001. The Ysios winery is part of the Domecq group, one of the biggest producers and exporters of wines in Spain. Bagpiper’s Day: This festivity, attended by bagpipe players from around the world, is held on May 19th. Festivities in honour of San Pedro and San Pedro: Daily routine is left aside in Laguardia from the 23rd to the 29th of June. Bars, cellars, streets, everywhere is crowded with hundreds of visitor. Labastida is located in the south-east of the Basque Country and Alava, in the Rioja Alavesa region. The Old Quarter: Church of Nuestra Señora de la Asunción, the Town Hall, Toloño and Larrazuria Arches, and Calle Mayor (Older street). Cellars: If you are looking for an unmatchable experience don’t miss the opportunity to visit the Marqués de Riscal wine cellar. A mix of innovation and tradition, the oldest winery in La Rioja was redesigned by Frank Gehry, the architect of the Guggenheim in Bilbao. This area of Spain has over 500 wineries and is internationally famous for the quality of its wines. Culture, wine, amazing natural attractions, and high mountain areas together make an extraordinary combination. Haro is considered the Rioja Wine Capital. The most important wineries in La Rioja are located there. It is worth a visit, not only for its wineries, but also because of its medieval town, its bars and restaurants and the wonderful views of the vines and the “Sierra the Cantabria”. The Rioja Wine Interpretation Center, located in the century-old Haro Oenological Station, which since 1892 has been satisfying the region’s viticultural research and training needs, always taking care to ensure the quality of Rioja wine and the opening of new horizons. St. John, St. Felices and St. Peter Fiestas in June. The most famous attraction of these Fiestas is the Wine Battle (la Batalla del Vino) on June 29th (Saint Peter). This celebration has been classified as a tourit attraction of special interest. It is celebrated on the hilltop of Riscos de Biblio. It is a battle where people dressed in white clothes throw wine one to another. It is advisable to dress in old clothes. Logroño is the capital of La Rioja, a charming region famous for being a stopover on the Camino de Santiago pilgrimage. Perfectly situated between cities like Bilbao Pamplona, San Sebastián, Burgos and Zaragoza, Logroño is well worth a stop on any trip around northern Spain. Laurel Street. Without a doubt, it’s the most popular street in Logroño. There are over 40 bars and restaurants waiting for you with their specialties in this bustling street. The Parliament of La Rioja and the Library (the old Mercedario convent). Defensive wall and Ravelin, the museum of the city of Logroño. Co-cathedral of Santa María de La Redonda. The Way of St James: this famous tour that passes through La Rioja, is considered as the leading European Cultural Route and a Heritage of Humanity. The festival of San Mateo (the grape harvest festival): A week of non- stop festivities: bulls, floats, markets, the international fireworks contest, the traditional hand-ball game championships…Most of all, this festival is a gastronomic delight with rioja wines and regional cuisine. One of the Rioja towns most deeply linked to the Pilgrim’s Route to Santiago de Compostela, is Santo Domingo de la Calzada. Its medieval streets, declared a National Historic Interest Site, store a valuable heritage, particularly its walls, the Cathedral and the old Pilgrims’ Hospital. The theatrical representation of ” The Miracles of the Saint”: It takes place in August. Constitution holiday week: The Medieval Market is held during the week. The village famous for its twin site monasteries of Suso and Yuso, was declared World Heritage Sites by the UNESCO. It’s known for being the birthplace of the first written words in the Spanish language. Marqués de San Nicolás Palace. Dinastia Vivanco Museum & Winery: Is an impressive wine museum created by the winemaking family Vivanco. Enobus: Every weekend April to October, there is a bus that leaves from Bilbao and visits 2 or 3 towns of La Rioja Alavesa, including wineries. The bus leaves from Plaza Moyua (Bilbao). Autobuses La Unión. This company connects Bilbao with Haro, Logroño, Labastida, La Guardia, Santo Domingo de la Calzada and most important places of La Rioja and La Rioja Alavesa.